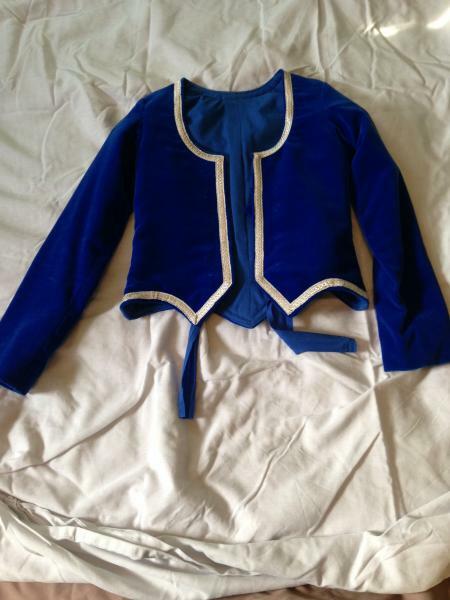 dance.net - Blue Highland Jacket (10243872) - Read article: Ballet, Jazz, Modern, Hip Hop, Tap, Irish, Disco, Twirling, Cheer: Photos, Chat, Games, Jobs, Events! Blue highland jacket, only worn a few times. Will be sold with silver buttons on it. Can you please provide measurements? Chest, waist, hips, jacket length, arm length. Thank you! Yes, I'll have them up tomorrow, thanks!